Author's Comment: I tell you, reading Alf Buttler's memoirs is a real treat for anyone with a love of cycling history. When I spoke to Geoff (Wiles) I told him that he will not believe the difference between 1968 and now with respect to just about everything in those countries. Even during the early 1980's when we visited that region (before the Wall came down) it was unbelievable how deprived that whole region was. The Russians won the war (as far as they were concerned) and all of the countries sucked into the East Bloc suffered for 'their crimes'. Life over there was truly dismal. I remember on one trip we went by train to Berlin. As we got close to the city the train slowed right down and of course we were in East Germany. We passed through railway stations that had clearly not been touched since WWII. Along the platforms were East German guards spaced at about 100ft, each with a police dog. Nobody was getting off or on to the train! We felt as though we were inside a Black and White movie about war spies (like the Third Man). It is often said that the Peace Race was the ‘iron curtain’ version of the Tour de France. 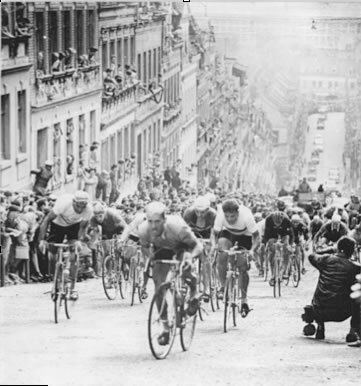 In reading the history of the race one might even come to the conclusion that it was harder than Le Tour. My friend Geoff Wiles was a member of the Great Britain team in 1968 (and Alf Buttler was the team mechanic). His stories of the race conditions send shivers down your back. In May 2012 Alan Buttler (Alf’s son) and Geoff Wiles will be cycling the 13 stages of the 1955 Peace Race from Prague to Berlin to Warsaw in memory of the life of Alf Buttler, ex-Great Britain team mechanic and manager during the 1950's, 1960's and early 1970's. The 1955 Peace Race was Alf's first race with the Great Britain team and by riding the course they hope it will be a fitting tribute to his contribution to the world of cycle sport. Alf Buttler passed away in December 2008 after suffering from diabetes for 8 years, closing the book on an unbelievable cycling career spanning 70 years. He is famous as the legendary Great Britain team mechanic and manager during the 1950's, 1960's and early 1970's. His career began with touring as a youth with the Long Eaton cycling club and it wasn't long before he was racing, competing ferociously on the track and winning many medals. Following a couple of years riding the Tour of Ireland he was invited to join the Great Britain Team at the Peace Race as mechanic in 1955. This began his long and varied career with British Cycling as mechanic and later team manager, taking him all over Europe on 8 Peace Races, the Tour de France, Tour of Sweden, Tour of Poland, Tour of Morocco, Tour of Algeria, Tour of Tunisia, Tour of St Lawrence (Canada) and many more. In the 70's he moved into race marshalling, becoming chief marshall for races including the World Championships, Milk Race and National Championships. On March 5, 1946, at the request of Westminster College in the small Missouri town of Fulton (population of 7,000), Sir Winston Churchill gave his now famous "Iron Curtain" speech to a crowd of 40,000. The ‘increasing measure of control’ effectively prevented ‘iron curtain’ citizens from travelling outside of the communist controlled region. Athletes were not allowed to compete beyond the iron curtain except in major amateur events such as the Olympic Games. No athlete was allowed to turn professional or compete in professional races. Sport is used as a major propaganda tool in difficult political environments. Big sporting events present an image of normalcy and the Peace Race, born in 1948, was a major element of the State controlled environment. Until the fall of the Berlin Wall in 1988 the Peace Race was the premier stage race inside the communist bloc. Typically it focused on three cities that became the traditional anchor points, Prague (Poland), Berlin (former East Sector) and Warsaw (former Czechoslovakia). Often the race was called the P-B-W in recognition of those cities. During those years the Russian overlords did little to improve the infrastructure or even repair much of the damage from WWII. Anyone from the West who visited any of those countries at that time were always shocked at the state of the roads, buildings and the generally dismal living conditions for the population. Big sporting events gave the populace an escape from their grim existence. For athletes that excelled it meant being elevated to an elite level of their society with better living conditions and an escape from a life of hard factory or farm work. The competition amongst ‘iron curtain’ athletes was often extreme. Winning would change their life. ‘The State’ promoted sports with State run programs designed to groom champions. In effect athletes that made it into these programs were professionals in all but name. After the collapse of communism many athletes made their way to ‘the West’ to become professionals. Eric Zabel and Jan Ulrich are two well-known cyclists whose early years were spent in the communist State run system. Although the Peace Race continued after 1988 it was never the same. It’s importance fell as quickly as the Berlin Wall. The shackles of communism had been broken and the Peace Race was no longer the ultimate goal for East Bloc cyclists. Many have attempted to keep the race alive but the last edition was run in 2006. The infamous ‘Wall of Meerane’, in East Germany, a 340m cobbled climb pitched up at 11% in the centre of Chemnitz (formerly Karl- Marx-Stadt. Such a surprise ramp offered an extraordinary spectacle to spectators thronging the street and hanging out every window. Some years ago a fellow mechanic, Bert Humphreys, handed Alf Buttler a leather briefcase, packed with photographs, programmes, stage sheets and other memorabilia collected from their time together. Dog eared press photographs depicted what looked like a war. Military vehicles with bike racks fitted, mechanics in overalls and goggles looking like tank commanders, cyclists scraped off the cobbles with bloodied limbs as shocked spectators looked on open mouthed. Ruins, cinder tracks, black-faced coal workers and cobbles, cobbles, cobbles. It looked like hell. But then other photos showed a different aspect, crowds in their thousands, flags, flowers, giant crystal vases, camaraderie and sportsmanship. Of the Peace Race photos of Alf in action as mechanic, in many he is helping a rival team. His certificates and medals are testament to these sporting actions and reward for his embodiment of the Peace Race ethos. In 2001 whilst waiting for an operation, Alf began the huge task of writing his memoirs, from his childhood in 1920's Derbyshire, through touring and youth hostelling in the 1930's, track league and BLRC racing in the 1940's and early 1950's, then into his career with the British Cycling Team taking him to 8 Peace Race's, the Tour de France, Tour of Algeria, Tour of Morocco, World Championships, Commonwealth Games and many others. Alf’s full memoirs (including the Peace Race) are available at http://alfbuttler.blogspot.com. 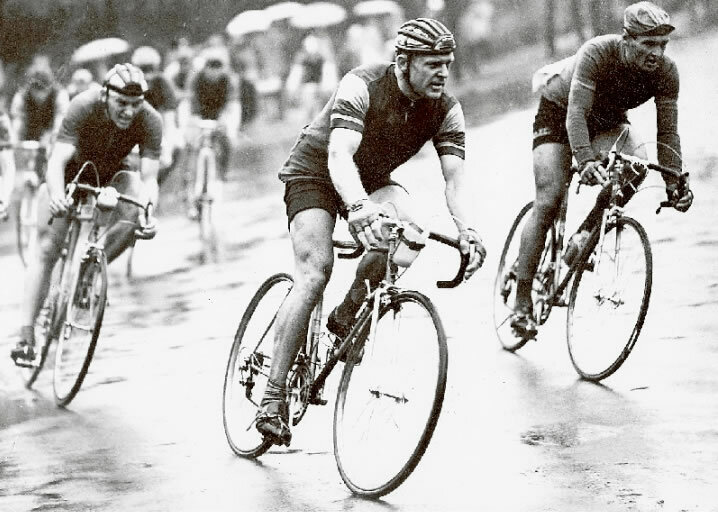 Details on the Peace Race "Tribute Ride"
Gustav-Adolf "Täve" Schur twice won the Peace Race (1955, 1959) and twice won the Amateur World RR Championship (1958, 1959). An East Bloc ‘superstar’ and still today considered one of the most popular sportsmen of that region of Europe. "Täve" will join the Tribute Ride for two days. With the help of Klaus Huhn, former Sports Director of the newspaper Neues Deutchsland (co-organiser of the Peace Race in the former-DDR), Täve Schur will be joining the Tribute Ride for 2 stages, on May 3rd from Chemnitz to Leipzig and May 4th from Leipzig to Berlin. 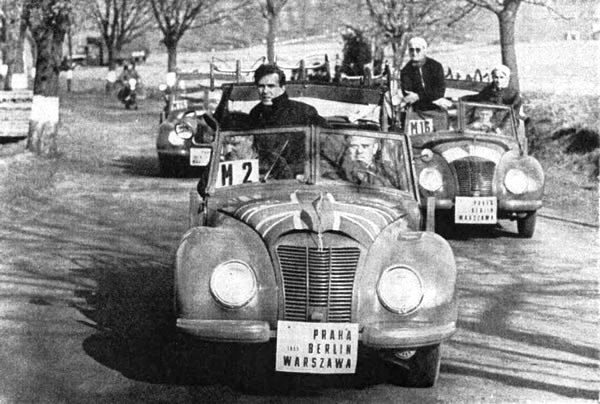 The latter stage was one that Täve won in the 1955 Peace Race, then going on to win the overall title. It will be a great honour to ride with him for those 2 days. Täve has just recently celebrated his 81st birthday! (Feb 23rd). Make sure to read about Tave Schur. A fantastic rider and an all round fantastic human being. Apparently now at the age of 81 he can still ride his bike very well.